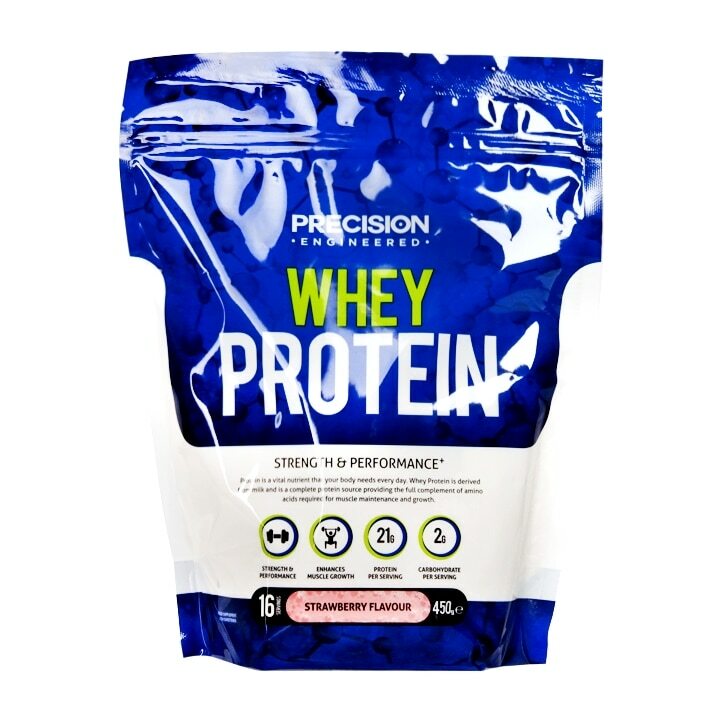 Precision Engineered Whey Protein Strawberry Cheesecake is rated 4.2 out of 5 by 166. Rated 1 out of 5 by ProteinUser0022 from Disgusting texture, acidic taste I've been using protein powders for nearly ten years now. I ran out at work and so popped to H&B to pick up an emergency stash. I don't normally leave reviews but this product is so poor I felt the need to. The texture, when compared to better protein products, can only be described as 'slimey'. It truly is disgusting, and unlike the texture of any other powder i've ever tried. Added to water it comes out as a gross, viscous mess. Added to yoghurt it becomes congealed, and added to milk isn't much better. Honestly, I can emphasize enough how off-putting it is to try and down a large glass of slimey, viscous, lumpy white liquid. Secondly, the taste. I got the Banana one. I literally can not understand how a company can get the taste of bana so wrong. It tastes like someone mixed half a cup of old instant coffee with an old toffee sweet then added 3 drops of acidic 1970's bana flavouring to it. I've had banana flavouring many times from other protein companies and it always tastes consistent - a pleasant sweet taste of bana sweets. This one, though, is absolutely shocking. I am actually amazed that H&B are willing to sell this, and the price is astronomical! I got it at 50% off and I would still enver, ever buy it again even at that price. They need to blacklist the company who supplies these as it's a taint to the H&B name. I won't be shopping there again for a while if this represents their quality control. Rated 5 out of 5 by Bigmaciej from Good protein. Good protein,taste great too,good price when on offer. Recommended!! !